The 319E looks great, but there's substance to its style. The optimized boom design provides improved bucket breakout performance throughout the lift path. You also get more reach at truck bed height and more lift height to the hinge pin. We rerouted the auxiliary hydraulic lines to better protect them and added connect-under-pressure couplers. The engine side shields attach more securely. Automotive-style courtesy lighting can be preset to stay on for up to a 90-second interval before shutting down after the operator exits the machine. How's that for shedding some light on the subject? And there are many new options, such as ride control and keyless start to make your day smoother and more productive. 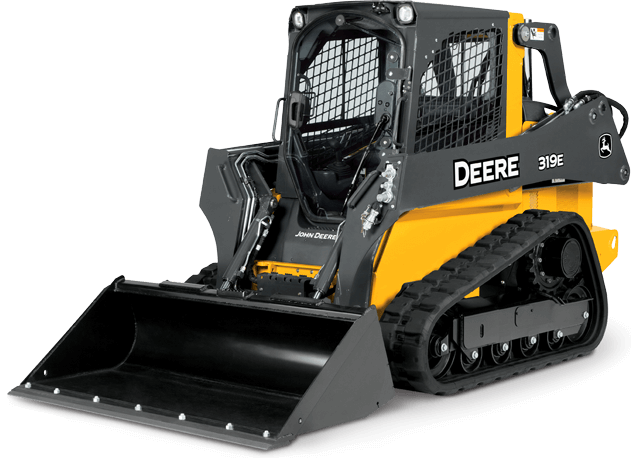 The 319E's engine is certified to EPA Final Tier 4 emissions standards and features automatic cleaning without impacting machine operation in most conditions.